Inbound marketing, as a phrase and a movement, has almost been as popular as content marketing over the past decade. If both phrases were tradeable stocks, and you purchased $10,000 worth of “inbound marketing” and “content marketing” in June 2008, inbound marketing would be valued at $490,000. If you owned content marketing, you would be a millionaire (per Google Trends March 29, 2016). Regardless, both approaches have arguably dominated the marketing conversation for the past five to 10 years. Unfortunately, if you are focusing all your efforts on inbound marketing as your primary marketing strategy, you may be missing a large opportunity. Let’s discuss. More recently, HubSpot has expanded the inbound marketing definition to include more than the top-of-the-funnel activities into a methodology that includes awareness through post-sales relationship-building (moving it closer to the definition of content marketing). Still, the majority of marketing professionals see “inbound” as a top-of-the-funnel activity. Following an inbound marketing approach, for most organizations, is actually quite sensible. 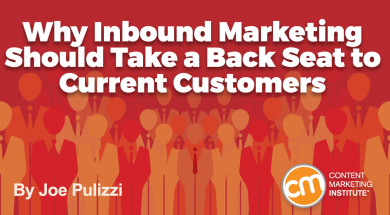 The problem is that far too many enterprises and small businesses focus on inbound marketing as the primary strategy (bringing in new customers), and loyalty and retention initiatives (focusing on current customers) as secondary. I recently had breakfast with the vice president of digital marketing at a large B2B manufacturing company. As we broke down his goals and initiatives, the underlying focus was clear. After years of content creation about just products/services/features/benefits, the organization has moved more resources to top-of-the-funnel activities. These include a large SEO/SEM team; a content creation team for white papers, blogs, e-books and webinars; a newly launched marketing automation team; and better integration and lead nurturing between sales and marketing. For a large B2B organization, the change management needed to make all this happen was quite impressive. I’m sure you already know the answer. Outside of customer service, major account representatives, and post-sales product collateral, the organization ignored loyalty and retention marketing. I believe the third experience – focusing on loyalty and retention – is the most critical when thinking about the opportunities around content. The fundamental principle of marketing is that it is exponentially more profitable to keep existing customers than it is to acquire new ones. The rule of thumb is that it costs five times as much to acquire a new customer than to keep an existing one. According to Harvard Business School, an increase in customer retention by just 5% can lead to an increase in profits of 25% to 95%. Although new business is always an important driver to any business, more companies seem to neglect the MOST PROFITABLE marketing strategy – keeping and growing your current customer base. It is your current customers with whom you already have awareness and a current relationship. It only makes sense to focus first on their informational needs and pain points and to maximize the revenue opportunities from current customers before taking an inbound approach. Only after you perfect the loyalty experience and turn customers into evangelists should you look at other parts of the buyer’s journey. John Deere delivers The Furrow magazine to 1.5 million customers on a monthly basis, in 40 countries and 14 languages. 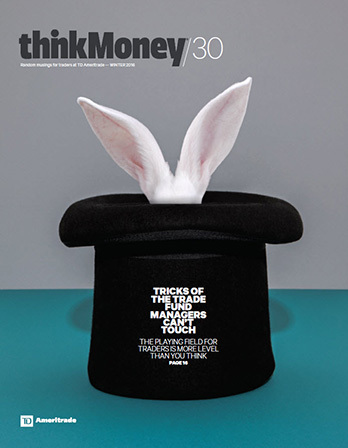 TD Ameritrade’s thinkMoney magazine is targeted to the brand’s active traders. It’s found that high-volume traders who engage in the magazine trade five times more than those who do not. 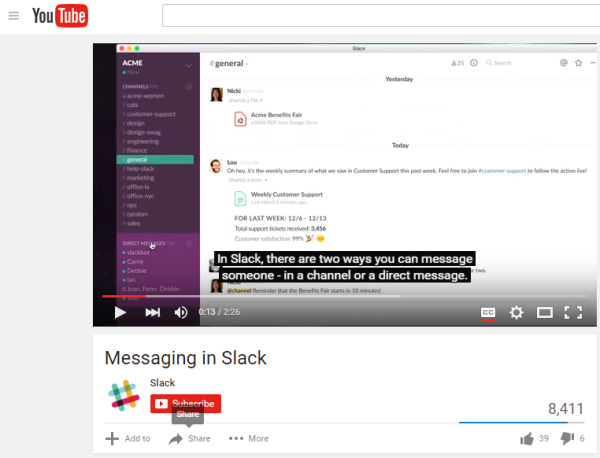 Slack, a digital communication tool, uses its YouTube channel not only to introduce its product but to host how-to video guides, strengthening its relationships with customers using the product. 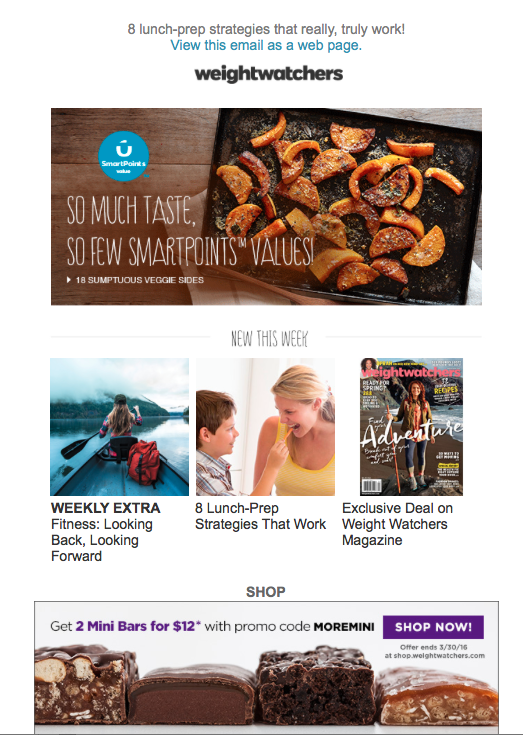 Weight Watchers sends a weekly e-newsletter to its customers with helpful tips on food and fitness. My purpose in writing this article is not to get you to shy away from inbound activities, but to put your goals in perspective. Our opportunities with current customers are significant. Don’t ignore current customers at the expense of top-of-the-funnel activities. Want to learn more ways to build loyalty with your customers? Subscribe to the free daily or weekly CMI email.